It’s not going to be really shocking news for us and also for you, unless you a Blackberry fan or iOS hater. Research In Motion is already broken and only serving 20% of it in market, trying to compete with other higher end competitors like Apple and Google. Both Jim Balsillie and Mike Lazaridis co-CEOs of RIM aren’t capable of fixing it, and on it RIM shareholder speaks up to move towards the auction of complete company or just sell of its registered patent. Jaguar Financial (RIM Shareholder) who advised BOD of RIM, is said to be tired from watching the company’s death with hiccups. 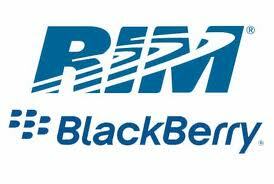 Since June 2008, RIM’s share price has downed more than by 80%, when it was staying around $149. It seems that 50% of shares had fallen in this year 2011, despite management’s “just you wait” assurances. Alboini has said to the directors to establish a committee of four or more independent directors of RIM to think about the proposal, it seems that shareholders are not more interested in RIM to bid their money on RIM stock share. In other way, you can say it’s an end of Blackberry powered smartphone.